Cereal is one of the easiest breakfast options and is still holding strong as America’s favorite choice in the morning. However, thanks to recent reports highlighting how much sugar some brands contain, navigating the cereal aisle can be a challenge, especially if you’re trying to lose weight with phentermine. So, if you’re missing your morning crunch then we have some great tips to help you choose the best cereal for your weight loss plan, plus a list of the healthiest cereals around to get you started. The less sugar the better but experts advise an absolute maximum of 10 grams of sugar per serving, and ideally fewer than 5 grams per serving. Not only does sugar lead to weight gain, eating too much sugar when you’re hungry can heighten cravings for sugar as it builds up the association in our minds between hunger and sweet foods. To make sure that your cereal keeps you feeling full throughout the morning, look for a cereal which has at least 3 grams of fiber (but ideally 4 or 5 grams) per serving. The fiber in cereal helps to reduce the effect of the sugar content, ensuring that your blood sugar levels remain steady and don’t cause a crash mid-morning. 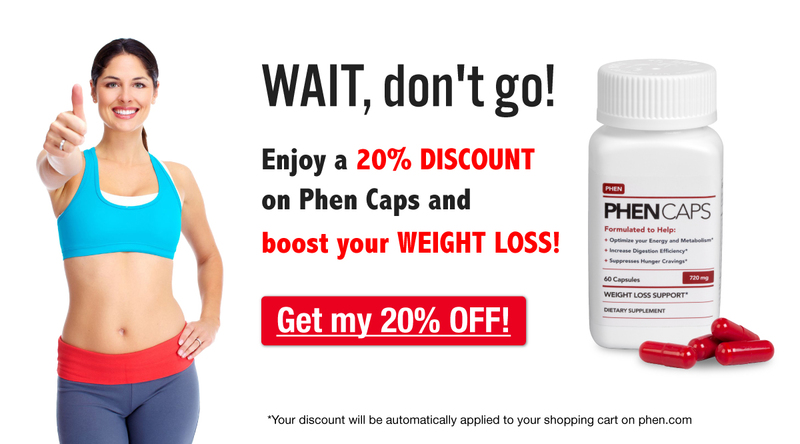 Fiber is also important for those taking phentermine as constipation is a common side effect of the medication. The ingredients of any product are listed in order, so whatever ingredient is listed first is the main component of the food. When it comes to cereal, the first ingredient should be a type of whole grain, whether it’s whole wheat, whole oats, or whole barley. Whole grains help to promote heart health, which is a concern for many taking phentermine due to the effects it can have on the heart, as we explain here. As well as checking for whole grain, you should also be on the lookout for ingredients that you can recognize and pronounce, rather than processed ones. Like fiber, protein helps to keep you full, so it’s good to incorporate a source of protein with your breakfast. Look for brands of cereal with at least 5 grams of protein per serving, If your cereal falls short, pair it with a Greek yogurt or a boiled egg to up your protein power for the morning. While you’re considering how much sugar, fiber and protein your cereal of choice has per serving, it’s important to bear in mind how much a serving is. All cereals have a suggested serving size, and it can be a lot smaller than what we’d pour straight from the box, which is why you need to control your portions! Measure out the serving to start with, usually it’s around 1-1.5 oz, and then see how filling you find this measured bowl. If you feel that you need more to get you going in the morning then you can add chopped nuts or some fruit to your bowl to bulk up your breakfast. Oatmeal – it’s an oldie but a goodie. These organic oats are sugar free, whole grain and contain 5 grams of fiber and 6 grams of protein per serving (a third of a cup). Make your oatmeal with nonfat milk or water, or a mix of the two and you’ll be full for most of the morning. Add fruit for more filling fiber, nuts for fiber and protein, and a sprinkle of cinnamon instead of sugar for sweetness. This hearty cereal combines the flavor and goodness of buckwheat, barley and oats and is the least sugary of the Kashi cereals with 3 grams per serving (half a cup). It also packs in 7 grams of protein and 6 grams of fiber – more than a quarter of your daily requirements. The addition of blueberries boosts this cereal’s fiber content to a whopping 9 grams per 55g serving. It also packs an impressive 9 grams of protein and healthy omega 3 fatty acids thanks to the flaxseed. It does come in at the top of the scale on the sugar count with 9 grams of sugar per serving, but this is also in part due to the blueberries. However, when sugar is paired with fiber the same blood sugar spike and crash doesn’t happen because the fiber helps to release the sugar gradually into the bloodstream. This hot cereal alternative to oatmeal contains no sugar, 5 grams of fiber and 5 grams of protein per 40g serving. It also is fortified with calcium, providing you with 20% of your recommended daily allowance per bowl. This hearty cereal contains flaxseed to boost heart health and provide healthy fats to reduce inflammation. A 55g bowlful has less than a gram of sugar, plus this cereal packs an impressive 8 grams of fiber and 7 grams of protein per serving. This classic cereal ticks all the boxes as it’s made from just one ingredient – 100% whole grain, and contains no sugar or sodium, 6 grams of fiber and 5 grams of protein per serving. It’s also really easy to make sure you’re controlling your portions of Shredded Wheat as a serving is two biscuits, no weighing or measuring necessary! With any of these cereals for breakfast you’ll get your day off to a great start and keep hunger at bay until lunchtime!